I finished my final emu for a tryptich. 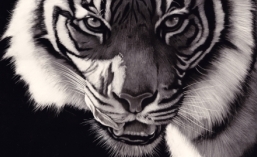 They are all scratchboard and all completed almost 100% with a fibreglass brush, and all done on black boards. They will also all be framed together. I had the plan that the one on the left would look feminine, the one on the right masculine (a ladies man as a friend says) and the one in the middle could be either/or. I also wanted the one in the middle to dominate and the others to direct the viewers attention to the middle. 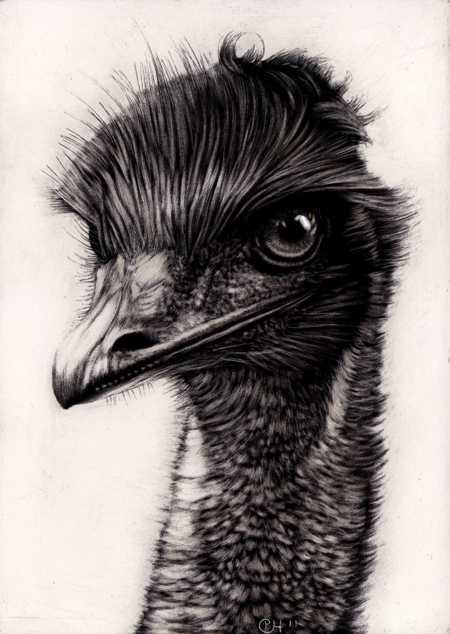 Absolutely love your Emu. The center one does catch the attention. Well done! Amazing work. I just started to use alternative tools. I have used hypodermic needles, different gauges for 41 years.